Inspired by the Harry Potter Series, the Chronicles of Narnia, and the works of Brian Froud and Jim Henson, Sheldrake hopes to capture the imaginations of readers of all ages with her Keepers of the Wellsprings series. 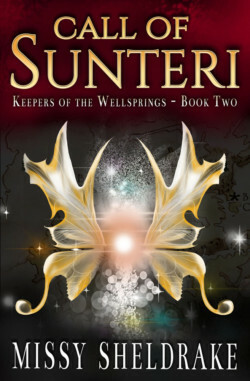 Call of Sunteri Book Two of the series, follows Tib, a newly freed slave boy, and Azaeli, a newly named Knight as they race to reclaim and restore the Wellspring of Sunteri from the ravaging power of Sorcerers. It tells of the courage required by the last of a race, and the lengths one will go to in order to survive.